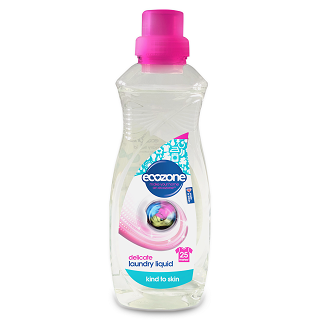 This fragrance free new delicate laundry liquid from Ecozone is non-bio, non-toxic, plus asthma and allergy approved. Made from a unique formula which is ideal for those with the most sensitive of skin and ideal for washing baby clothes. The formula is fragrance-free, therefore no perfume has been added to avoid inhalation issues while hand washing. 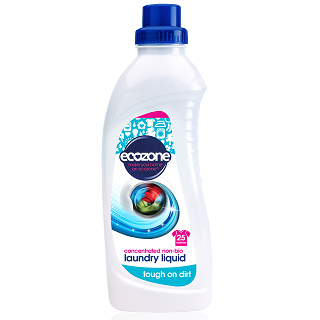 Although a delicate formula, it handles dirt with ease so there’s no comprising on washing performance. 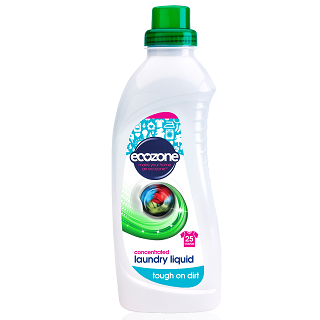 For a light scent add an Ecozone Fabric Conditioner dose to your load. 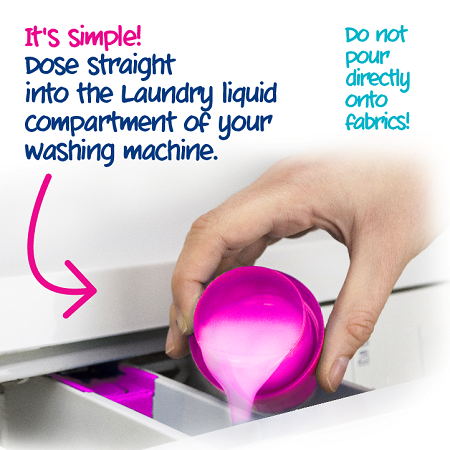 Do not add Fabric Conditioner’s directly to fabrics. 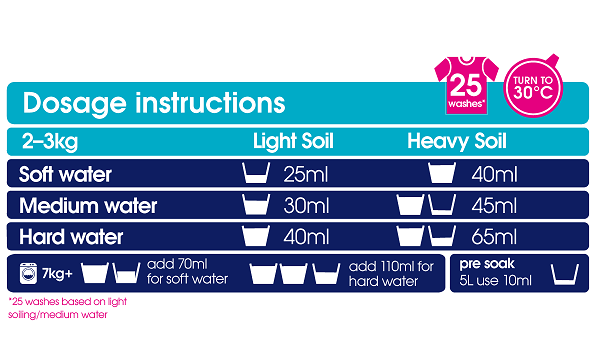 3) Select a suitable wash programme for your washing machine. Alternatively, use 40ml/1 cap of liquid to water to hand wash.